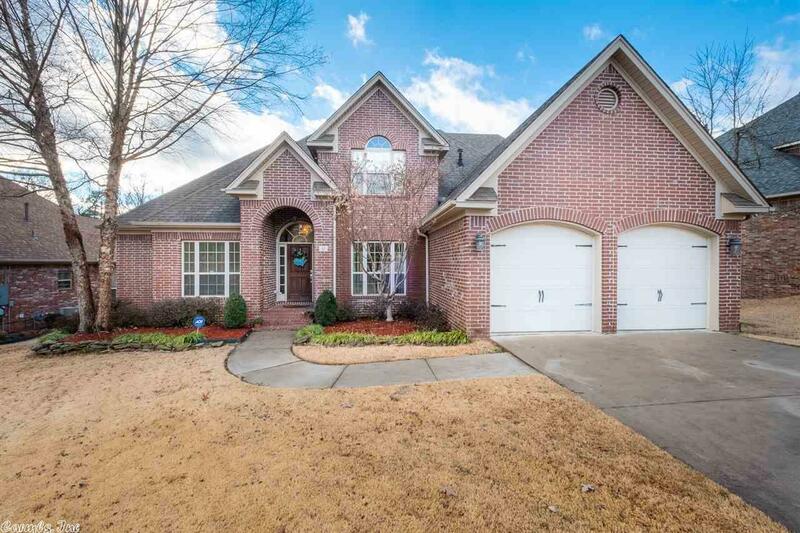 Come see this all brick beauty with gorgeous hardwoods in family areas. Master en suite and office on main level. Beautiful white kitchen cabinets, Dacor oven and gas cooktop. 3-4 BR. Large room upstairs could be bonus room or 4th BR is an en suite and has a large closet. 60 gallon Marathon water heater, sprinkler and alarm system. Large partially covered deck looks onto green space. Walking distance to Joe T. Robinson schools and close to Jolly Rogers Marina. See agent account.